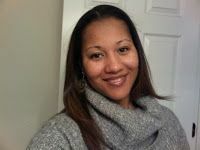 Guest author Patricia Brown, Technology Integration Coach at Old Bonhomme Elementary School in Saint Louis, MO: I am always surprised when I meet someone new, and they tell me they are not on Twitter. I’ll be the first to admit it: when I first started using Twitter four years ago, I used it purely as a social outlet. I “connected” with my favorite celebrities, chatted with a few of my friends and poked fun at the funny trending hashtags. But after spending quite a bit of time using Twitter personally, I soon discovered the value in using it to build a professional learning network. I have participated in numerous hours of in-person formal professional development, graduate coursework and workshops, but I can honestly say that I have learned and connected more from a few hours on Twitter right from the comfort of my own home. My Twitter interactions have led me to some amazing people, and I have created lifetime friendships and connections. I get excited when I meet a Twitter friend in person, and through these connections, I have found ways to find deeper connections through other platforms like Voxer and Slack with people who share common ideas and interests. Twitter is a starting point, and it does not have to be overwhelming, or “one more thing to do” that you don’t get around to. The power of connecting is priceless.